Throughout the Porsche 911 lineup there’s plenty of levels to consider and it’s only at the high end that you find stuff with the GT and RS branding together. Leaving behind your regard for this hierarchy, we all know that the GT2 RS is the ultimate 911 Porsche makes. That said, it’s not the best 911 out there. 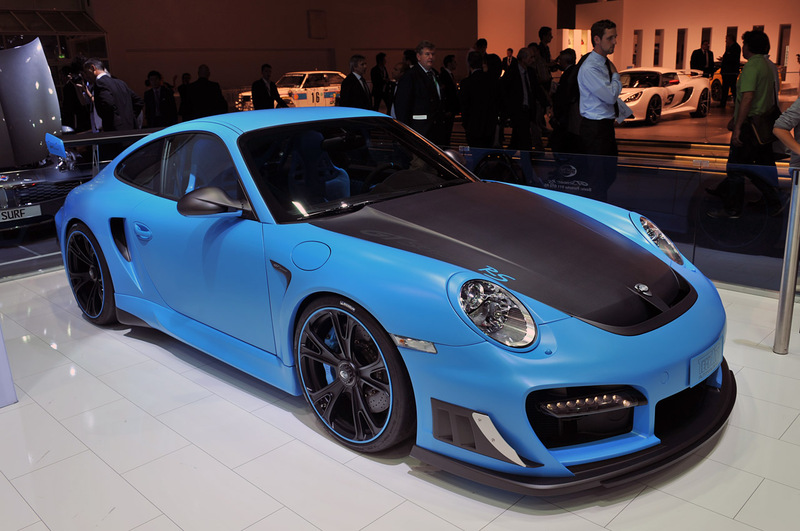 For this you need to turn to famous tuning company Techart and their GTStreet RS tuneup of the very same Porsche 911 GT2. As you’d imagine, when upgrading an institution the that’s this high ranking, you can’t simply add very few new bits and fit them to it. The Techart GTStreet RS gets nothing but the best upgrades on the 2011 Porsche 911 GT2 RS and, as a result, the 3.6 liter twin-turbocharged engine can now develop as much as 720 horsepower and 664 lb-ft of torque. Plenty of handling upgrades have been done in order to contain the fury of the Techart GTStreet RS in one piece, including the setup of the aerodynamics. This new body kit does more than add high speed stability, it gives the brakes and inter-coolers some much needed improved cooling. The rest, as they say, is a fairy tale. Techart fitted the 2011 Porsche 911 GT2 with some new, street-design 20 inch wheels that completely match the paint scheme. 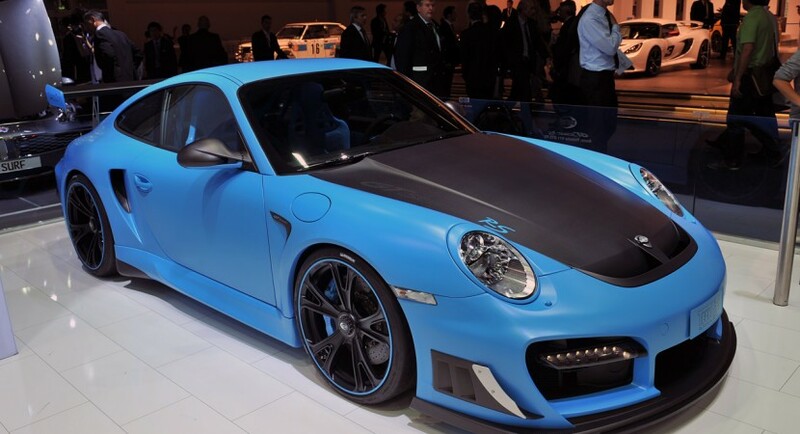 A similar situation is happening with the interior and while it’s not a very flattering color mix on the two tone black and “smurf” blue, I suppose we can let Techart off with one mistake. At the moment, the car can be spotted at the 2011 Frankfurt Motor Show without any sort of pricing or availability info visible.